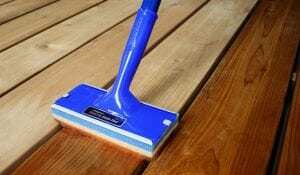 Can You Stain Your Deck in the Summer Heat? 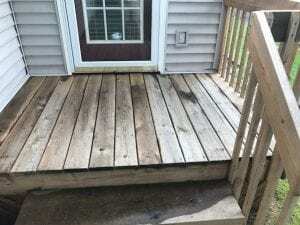 Update for 2019: Can You Stain Your Deck in the Summer Heat? We here at Deckstainhelp.com appreciate your loyalty. For 2019 and beyond, we are committed to being your go-to source for all things deck staining related. 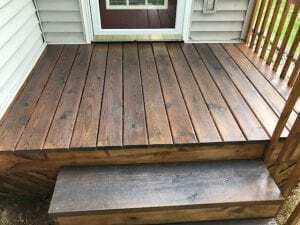 If you have ever wondered how hot is too hot to stain a deck, read on. We want to hear from you. What time of year do you think is the best time to stain a deck? Having a wood deck means you are probably familiar with deck care or at least what can happen without regular deck care. 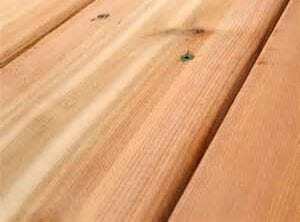 To protect the investment of a wood deck the wood needs to be protected with a wood preservative. Unprotected wood will weather quickly. Harsh UV rays will gray a deck in a short time. Additionally, unwanted moisture will begin to wrap, crack, and split wood decking causing the need for costly repairs. To preserve and protect wood for many years a deck needs to have a regular coat of deck stain. Deck stain reflects UV rays, traps out water intrusion, reduces fungal growth, and can even enhance the beautiful nature of the wood. Many deck owners wonder when the best time of year is for staining a deck. Spring and fall are great times because the air temperatures are perfect for staining. Deck stain should be applied in temperatures between 50-90 degrees. With that said, can you stain your deck in the summer heat? It is possible if that is the time of year you need to do it. There is, however, a few things you will want to avoid.